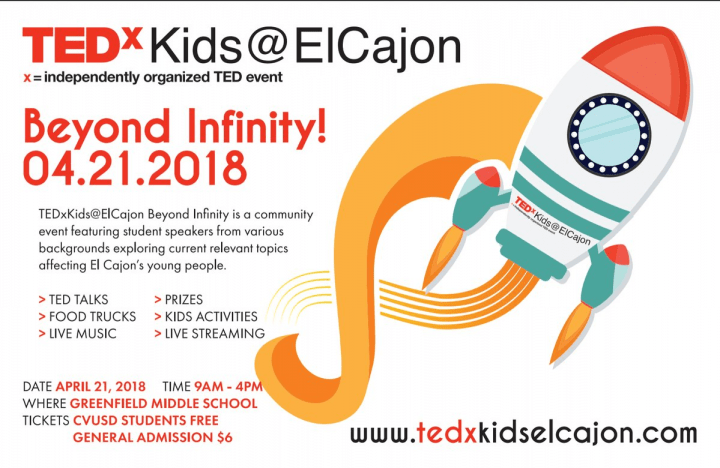 TEDx Kids Event – Beyond Infinity! • Time: 9 a.m. to 4 p.m. Enjoy the TED Talks, live music, kids’ activities, prizes, live streaming and food trucks! Cajon Valley Union School District students are free, $6 general admission. Visit www.tedxkidselcajon.com for more information.